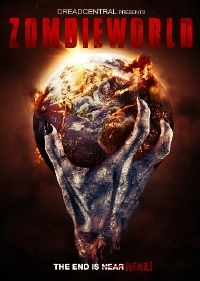 New on Blu-ray & DVD: Zombieworld! Watership Down! & More! An interesting assortment of titles both old and new are hitting this week. First up is Zombieworld, which pulls together a number of zombie short films into one blood-soaked set of post-apocalyptic fun. The set was produced in association with our friends at Dread Central, so we wish them the best of luck with the release. We didn't get a screener, so we can't speak to the overall quality of the shorts, but the trailer showed promise for sure. 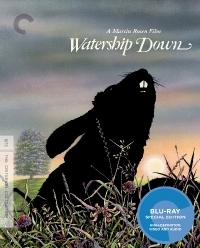 Up next is the Criterion release of Watership Down, the classic adaptation of Richard Adamsâ€™ classic British dystopian parable about a community of rabbits seeking safety and happiness after their warren comes under terrible threat. This was one of my all time favourite books. It's brutal and honest and, hey, it teaches you a lot about rabbits at the same time! 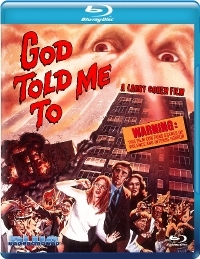 I saw Larry Cohen's ultra-crazy God Told me To as a double feature with Hal Hartley's Book of Life. Let's just say Cohen's film, even being 20 years older had much more of a lasting effect on me. The film starts with a rooftop sniper gunning down 14 pedestrians on the streets of New York City. But what starts as a decent thriller turns into one of the weirdest trips in cult cinema history. Blue Underground put the Blu-ray out, so I expect it will be a decent edition. 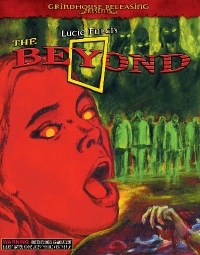 The Beyond is truly bugnuts bonkers insane. This is 1980's Lucio Fulci doing truly wild things with the zombie genre, and if you haven't seen it you owe it to yourself to check it out. If you are something of an aficionado of Italian horror, you may want to pick up this 3-Disc Collector's Blu-ray of the film from Grindhouse Releasing. I can't find any details about what you can expect to find across the three discs, but I hope it's decent features and the soundtrack which is truly amazing.